Streak-free and shiny windows by your Sparkly Maid. Thank you! Please keep your lines open as we may contact you within 1-2 business days to discuss your inquiry. Talk to you soon! Our window technicians are equipped with a ladder that could go as high as 30 feet. We are confident to clean windows that high, which should be sufficient for windows of a 3-storey homes. Are you like most homeowners who are not cleaning their windows? Maybe because it’s hard, it’s time-consuming and it’s dangerous as well, only to find out that there are still streaks and stains after spending a lot of time trying hard to get a spotless window. There are a lot of window cleaning tips and tricks like using vinegar, ammonia or Windex with paper towels, a newspaper or even a baby diaper. We value your time, and we know that it is it not worth spending your most-awaited day offs only to clean windows. Your local window technicians are ready to take that task from you. At an affordable price, you will be amazed on how efficient they are. Not only that, they all provide excellent and exemplary service, rest assured that after the cleaning, you can again enjoy your old, brand new windows. Sparkly Maid offers window cleaning and window washing services. You can have it added to your regular house cleaning services with us, or you can also order it separately. Our goal is to make sure that your house is fully taken cared of — we can clean both panels, interior and exterior, or you can request which side you prefer to be cleaned. Some people may say that it is just windows, no big deal. But if you come to think of it, we have encountered bad days and stressful days. And during those days, sometimes we just stare out the window, and breathe. Sometimes, it’s enough to reset us and keep us going again. And for sure, staring out on a clean and crystal clear window is a lot better that looking out on a dirty and cloudy windows. Aside from that, people pass by your house every single day. Sometimes, an unexpected guest may arrive as well. Windows could be one of the things that they would notice, and a clean window says a lot about the family that lives there. They seem to be livelier, happier and more focused. It shows as well on how the family is taking care of their property — which includes the preventive maintenance of their home. Regular window cleaning is one of the preventive maintenance tasks that you could practice to get a long-lasting windows. Through regular cleaning, the window technician would be able to inform you right away if there are window panels that need to be fixed or repaired. That way, you can prevent unnecessary replacements. Sparkly Maid prepared different types of services that you could choose from. We are also very flexible, and we are open to have our services customized and tailored-fit it to your needs. If you are looking for a high quality and dependable services, you are definitely in the right place. We have built a strong reputation of being the most trusted, most reliable, and most professional window cleaning services provided. With years of experience, our window technicians have master, and everyone went through rigorous hiring process, including background check to make sure that we are only letting in trustworthy people in the company. Cleaning of interior windows could be a bit risky because of the surrounding stuff. Furniture, appliances, and other things has to be considered. And really, if you are not an expert, you will find it hard to finish the task. It will also require you to buy special tools and equipment, as well as cleaning solutions that it may not be reasonable for you. Sparkly Maid offers interior window washing, and you can have it added to your service when you have your house cleaned, or you can also add it to the job order when you have you exterior windows cleaned, which ever is more convenient for you. For preparation, please dust or wipe blinds —this can be added to your house cleaning service as well, and drapes to ensure longer lasting cleanliness of your windows. Keep furniture and appliances away from the windows as well to reduce the risk of accidental breakage. This is what we do best! Sparkly Maid hired and trained experienced window washer to provide a superior service to everyone. Cleaning interior window is not enough to get that awesome and most-wanted clear and shiny windows. Regular cleaning of exterior windows is important as well to achieve a streak-free windows. We know that this is one of the household chores that you would hate doing. Here’s what you might get for trying to wash your exterior windows: wasted time and effort, tools and equipment that could not be used for any other tasks, more streaky and cloudy windows, and the most scary of them all, a broken bone. Our professional cleaners are equipped with the right set of tools and equipment, including safety gears, to be able to clean your exterior windows properly. Sparkly Maid also researched and developed the perfect formulation to get rid of a dirty and cloudy windows. This is for people who need the cleaning occasionally. Maybe because you just want the service for a special occasion, or maybe you’re expecting an important guest to visit your house, or you simply wanted to try our service, and see your windows clean and brand-new again. But one time services is not advisable if you want to always see your windows on its best condition. It may not be possible to remove dusts and stains on your windows, if it’s already there for a long period. Sparkly Maid values you as our client, that is why we only want the best service for you and your windows. Windows need to be properly maintained to keep it on its pristine condition for a long time. Sparkly Maid’s way of helping you on making it possible is through our Residential Window Maintenance Program. Sparkly Maid prepared different types of subscription plans that could assist you in keeping your windows sparkly and spotless at all times. We call this ‘Window Care' program. It can be customized based on your preferences, and one of the benefits that you could enjoy is our discounted rates. Discounts given varies on the frequency of service. The more services you need, the more discounts you get. More discounts also mean great savings for you in the long run. Our most popular plan is the cleaning of interior and exterior windows every 3 months. Although it may depend on your individual needs, which could be affected by a lot of factors such as your area, location, weather, and variables such as children, pets, and the amount of cooking and entertaining that you do. A healthier and happier family. We spent some of our time just looking out the window, thinking things out. Wouldn’t it be nice looking through a streak-free and spotless windows? Not just that, people passing by through your house will always notice your windows. It would be nice to know that your house is beautiful and clean from the inside and from the outside as well. Window is a perfect place for dust to settle down. If cleaned regularly, you can prevent the risk of your family catching diseases from those dusts and debris, such as asthma, colds, and cough. Long term protection of your windows. Subscribing to our Window Care program will mean that someone will be able to watch over your windows as well. Our window experts can detect any damages to your frames, hinges or anything that would need attention on your windows. Through that, you can have those issues fixed or repaired immediately, rather than having to get an untimely replacement. Makes way for more natural lighting. 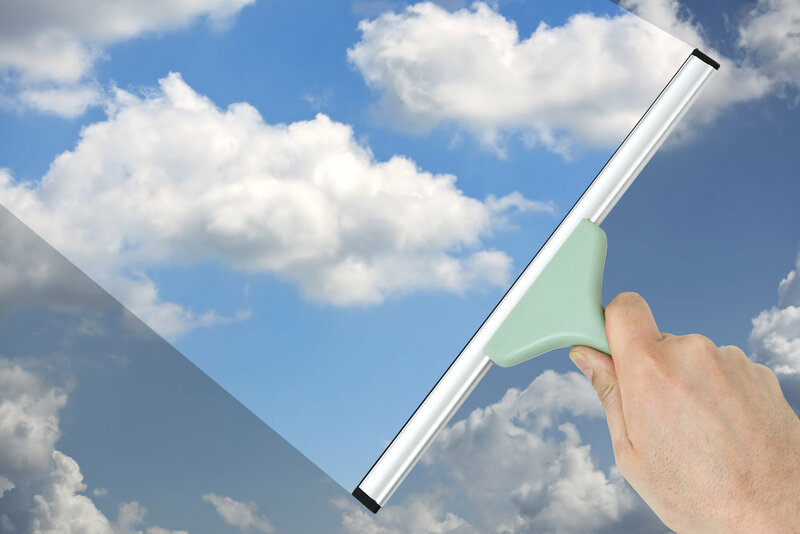 Our Window Care program can help you get rid of a cloudy and water-stained windows. Clean and clear windows could invite more natural light in your house bringing in a warmth and bright atmosphere. Save yourself from risk. Doing the cleaning yourself would mean that you acquire cleaning tools and equipment that could be expensive. You may think of improvising, but it also means that you are putting your safety in the line. We do not want you to end up with broken bone, only because you wanted to clean or wash your windows. Our Window Care program would eliminate that risk, because all of you have to do is to sit back, relax, and enjoy a newly-cleaned windows. Discounted rates. Through the Window Care program pioneered by Sparkly Maid, you could get great savings in the long run because we are generously giving out discounted rates as a way of our gratitude for your patronage and loyalty. The discount will depend on the frequency of the service requested. Of course, the more frequent the service is, the higher the discount. These are just some key points why you should sign up to our window maintenance program. You can fill up and submit the form about to let us know that you are interested, and someone from our team will contact you to discuss it further. Alternatively, you can also call us at (224) 214-0145. Sparkly Maid has been the partner of many families in keeping their home clean and tidy. We’ve been in the cleaning industry for years, and we are one of the most reputable cleaning companies in Illinois. We are prompt, professional, and reliable. And we always commit to provide an exemplary service. Our customer’s satisfaction is always our number 1 priority. Listed below are some reasons why you should choose Sparkly Maid to be your official window washer. Sparkly Maid is known for finishing the job excellently. We promise a 100% streak-free windows. If there are still streaks, it means that we are not yet done with the job. Our focus is to exceed our client’s expectations and you’d be amazed on how your window will look like after our service. Sparkly Maid only lets the best people in the company. Everyone went through an extremely thorough application, including a criminal background check. After the exhaustive application, all staff has to go through a series of training to make sure that they can work according to Sparkly Maid’s values. Hiring Sparkly Maid only means that you can cross out window cleaning on your list. You won’t have to spend your day off cleaning windows. Well, it also means that you have more time for other things that matter more. A day with your family and friends? Or some time to pamper yourself after a week-long of working hard? You can definitely enjoy it now that you have Sparkly Maid. When you have the best window washer taking care of your windows, you won’t have to worry. You’ll save big because your windows are being checked regularly, and is being maintained properly. It means that there will be no need for an early replacement. We also give discounts to our loyal customers. Those who are subscribed to our Window Care program are enjoying discounts based on the frequency of the service. Our service starts from the moment that you decided to reach out to us about any of our services. Not only do we have an approachable and professional window washers, but we also have friendly and welcoming customer service specialists. They will be there to assist you in any way possible, about the window cleaning services that we are offering. From booking, up until we get a confirmation from you that you are satisfied with the service received, expect that we will be there to help you. We care for you and your safety. Cleaning the windows yourself would be a tedious and risky task for you as you may not have the right tools and safety gear for the task. By hiring Sparkly Maid, you won’t have to put your safety at risk. Sparkly Maid’s window technicians are all equipped with the right set of tools and equipment to provide not just a high quality service, but also a safe one. We care for you and our hardworking staff that’s why we consider everyone’s safety on top of our priority. We compile questions that are being asked by our customers most of the time. Please feel free to check this out, as you may have the same questions in mind. If you have other questions not included here, you can reach out to us through the form above, or by calling us directly at (224) 214-0145. What size of houses can you service? Our window technicians are prepared with a high ladder that could reach up to 30-feet high. It is sufficient to reach the windows of a 3-storey house. That is to ensure our window washer’s safety and to keep the quality of the service as well. How do you clean the UV ray film on my windows? We will not use any strong cleaning materials on any windows with UV ray film, no matter how dirty it is. To ensure that it will not be damaged, we will only use soap and squeegees on it. Our cleaners can spot UV ray film, but it would be nice if you could let us know about it as well upon booking your appointment. What happens if it’s raining on the day of the appointment? It depends. If it’s just simple sprinkles, we can proceed with the appointment. Knowing that rain is a pure form of water, as long as the debris is removed from your windows they will remain sparkling clean even after the sprinkles. But if it’s more than that, we’ll have to reschedule the appointment within the week or so. Can I trust your window washers? Of course! Trust is a vital part of our business, and rest assured that Sparkly Maid invested time and effort in getting the best and the right people for our team. We promise that our window washers are reliable and trustworthy. Do I have to be home on the scheduled cleaning appointment? You are welcome to be home. Sparkly Maid knows how busy you are with your work and other stuff. Rest assured that our team can work excellently even with no supervision from you. We also don’t want to take any of your time, please feel comfortable not being around during the cleaning. And you will be surprised once you come home to see your windows sparkle again. How long does the cleaning usually takes? It depends on the number of windows and the types of it as it. Usually, it takes about 1-2 hours for regular jobs. We don’t want to take so much of your time, and of course as much as possible, we’d like to finish the job in the shortest time possible. We do not want to sacrifice the quality of our work as well, we would appreciate your patience if we do not want to rush on doing the job to make sure that we will get a perfect result - streak free and sparkling windows. How should I prepare for the window cleaning service? 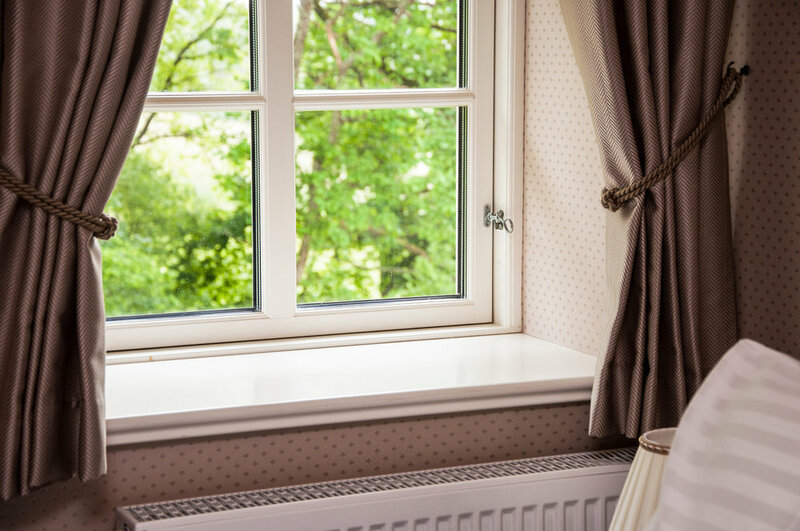 For cleaning of interior windows, our window technicians will highly appreciate it if you could pull up the drapes and blinds after you have dusted them. This is to ensure that your windows will stay clean for a longer time. Kindly keep furniture and appliances away from the window sills as well, and make the windows accessible, so we won’t miss a spot. For exterior window cleaning, there’s not much to prepare. Just prepare yourself for an amazing and awesome result. Yes, we are. We’d be glad to know their names and other details that we should know about them. Although, we request to please keep them away from the cleaners during the service for their safety as well. That’s to eliminate the risk of them being stepped on, and to prevent having the cleaning materials or solutions, such as soap, on them. What if I have to change or cancel the appointment? We organize our schedule ahead of time, and your preferred schedule is being reserved for you exclusively. Any changes to the schedule of your appointment should be done more than 48 hours from the time of appointment. Any changes within 48 hours from your schedule, will incur a $70 late cancellation fee. This is for our hardworking employees that could’ve given a different job on the slot that was originally scheduled for you. When is the best time to book for an appointment? It’s best to book a week in advance to ensure availability. Our slots are getting filled up fast, especially our weekend schedules. Of course, we do not want to turn down anyone because of our full schedule. Please do reach out to us to check our availability. We support cashless transactions. We accept payments through credit cards. We are proud to say that you could use your MasterCard, Visa, Discover, and American Express cards for the payment. We’ll use your card details as a way to guarantee the booking. Then few days before the service, there will be a temporary hold of the amount on your card. But you don’t have to worry, the final charge will only happen after the service has been rendered. Who should provide the cleaning materials and the cleaning solutions? We don’t want you to think of anything else for the window cleaning. All supplies and solutions that will be used in the service will be provided by Sparkly Maid. For further details, please send us your details through the form above. You can also call us at (224) 214-0145.